The Fiberight project has contracts for only about half the trash it needs to operate in the black. A planned waste-to-energy plant in Hampden has extended a May 1 deadline for communities to join the project because it has received only about half the commitments for municipal waste that it needs to be viable. Cities and towns now have until June 30 to decide whether to sign on to the proposed Fiberight plant once their contracts with the Penobcot Energy Recovery Co. incinerator expire in 2018. So far 75 communities, which represent about 78,000 tons of trash a year, have agreed to sign on with Fiberight, said Greg Lounder, executive director of the Municipal Review Committee, which comprises 187 communities that bring their garbage to the PERC incinerator in Orrington. Fiberight needs about 150,000 tons a year to be viable, officials have said. Lounder said Monday that the deadline was extended to give towns, some of which haven’t had a town meeting yet, more time to decide. He said he is not concerned that only half the tonnage commitment has been met for the Fiberight project. He would not comment on how viable the project will remain if the goal isn’t met. 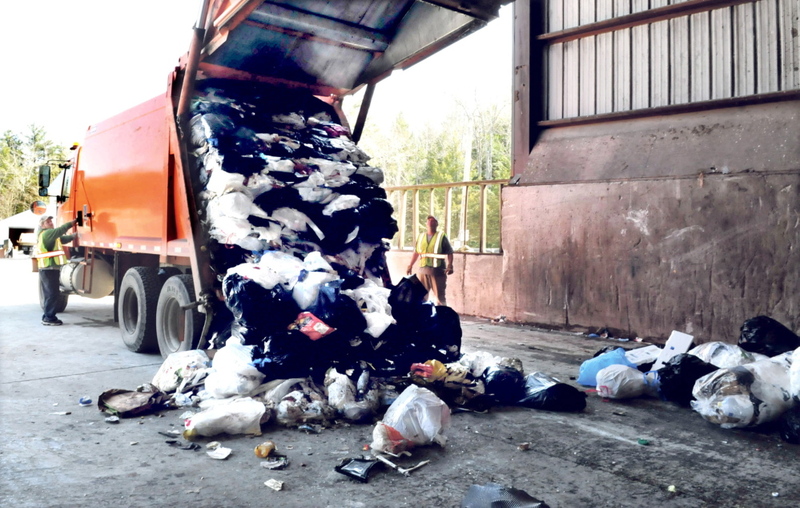 The towns comprising the MRC now send about 200,000 tons of garbage to PERC a year. “I think it’s important to stay focused on the original goal of 150,000 tons. I think that offers a higher level of project security,” Lounder said. The Municipal Review Committee, which was organized to represent communities that have contracts with PERC, came up with its own plan – the Fiberight proposal – after determining that many of the post-2018 PERC contracts would be too expensive for MRC members. While some area communities, including China and Oakland, have already agreed to sign 15-year contracts with Fiberight, others, like Waterville, Winslow, Fairfield and Winthrop, are opting out. Officials from those communities say they are looking for cheaper options or are not convinced that Fiberight’s plan is workable. The proposed Fiberight project is a partnership consisting of MRC; Covanta, an energy recovery company; and Fiberight, a Maryland-based company. Tipping fees would be $70 per ton, although rebates are applicable to lower the costs more for some communities, according to Lounder. Towns that sign up would agree to 15-year contracts. Recyclables would be sorted out of the trash and sold, and organic materials would be broken down with an anaerobic process to make biofuel. The company has a small-scale test plant in Lawrenceburg, Virgina, but has not built a full-scale plant yet in the U.S. The plant would be up and running by April 1, 2018 – the PERC contracts end March 31 – so the community decisions have to be made soon so construction can begin, he said.